Summary: As the Summer ends in St. Louis, people are getting ready for Fall weather. Part of doing so is understanding the dangers, safety tips, and liability associated with driving in the rain. As the Summer ends in St. Louis, people are getting ready for Fall weather. Part of doing so is understanding the dangers, safety tips, and liability associated with driving in the rain. In 2015, the number of car crashes recorded in the United States was 6,296,000 (source: NHTSA). In approximately 22% of those accidents, weather played a role. Additionally, rain is the primary weather-related factor that causes crashes, easily beating out snow and every other form. The reason for this is the interaction between your tires and wet asphalt. In short, cars work well because there is a significant amount of friction between their tires and the road. This makes actions like braking and turning very easy. When it rains, the level of friction diminishes, and simple tasks become dangerous. While the best way to keep yourself safe is not driving in the rain at all, this is not realistic in many situations. If you have to drive in the rain, you can increase your odds of safety by following the tactics below. Slow Down - In the section above, we explained how a lack of friction can make a car skid. The other critical factor in that equation is the speed of your car. If it is traveling quickly, you are much more likely to skid. To combat this effect, bring your speed down at least 10 MPH below the posted speed limit. Increase Following Distance - When the road is wet, your stopping distance is going to increase significantly. While nothing can be done to counteract this effect, you can make it less dangerous by increasing the distance between you and the car in front of you. That way, even if stopping takes longer than expected, you still have plenty of room. 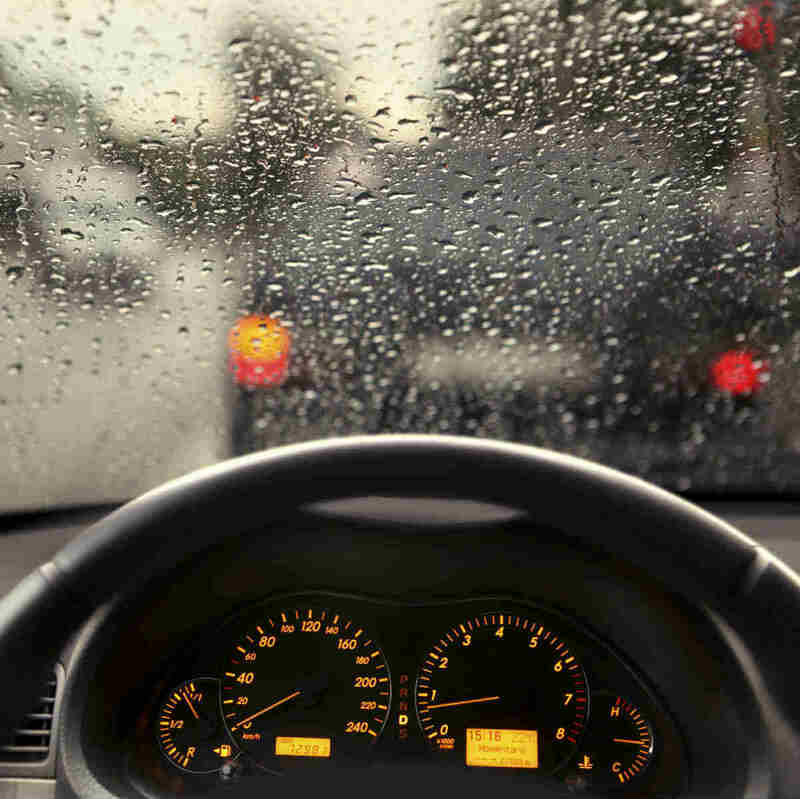 Avoid Cruise Control - Though cruise control is often a useful tool, it should not be used in the rain. The reason is that when you drive with cruise control, it tends to slow your reaction time. When conditions are rainy, this slight delay could be the difference between a collision and safety. Understand Hydroplaning - If you do happen to end up hydroplaning, you need to know how to act. Unfortunately, the correct method differs depending on the type of car you are driving and the conditions surrounding you. This is something that is worth looking into before the next rainy season comes. The one rule that holds true for every situation is to not slam on the brakes, which will only make things worse. Though some accidents are primarily caused by rain, the weather cannot be found liable in the eyes of the law. Instead, the most likely scenario is that one of the parties involved will be found at fault. Every driver is expected to adjust their behavior based on the weather, so a person claiming to they should not be liable due to the rain will usually not be successful. As rainy conditions start getting more and more frequent in St. Louis, your risk of being involved in an accident will rise. That being said, you can improve your chances significantly through responsible driving. If you do drive responsibly and still end up in a crash, you can always discuss your options with a St. Louis car accident attorney.